When you hear that Herod (not to be confused with the American band) have toured supporting the likes of Obituary, Voivod, Napalm Death, Crowbar and Carcass, it would be easy to assume they are extreme metal in a similar vein… and you wouldn’t be too far wrong. 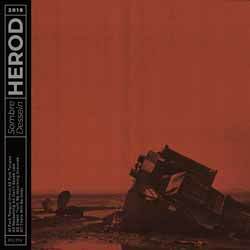 I was intrigued by the potential of Herod, and really wanted to like it. Unfortunately, this is not a bracket of metal that excites me. I require energy and melody in my life, and this supplies only the former. I’m sad to say it’s not even original in its sub-genre field, producing a hurried and chaotic cacophony of noise and nonsensical growls. Don’t get me wrong, I like growled vocals as long as they fit the melody and hook you in. Amon Amarth and Finntroll are two prime examples of this. The track listing is: 'Fork Tongue Intro', 'Fork Tongue', 'Reckoning', 'Don’t Speak Last', 'Silent Truth', 'Mourning Grounds', and 'There Will Be God'. I found myself waiting impatiently for variation, music breaks and cadences purely as a change from the monotony. All of the songs are at the same moderate pace, and ninety percent of the vocals are growled without tune or harmony. The exceptions are the background clean vocals or, in the case of 'Silent Truth', alternate clean and growled. These clean vocals come across rather better, but the set pace offers them little opportunity for variation. The main saving grace here are the drums, which hammer-out a different odd pattern for each song. I found myself listening to the drums more than the entire combo. 'There Will Be God' has a very nice melody and driving drum beat which slowly builds over the first four minutes, and then bursts through with menace to play-out the almost 10-minute song as an instrumental… That is until the eight-minute mark when there is a handful of growled vocals thankfully forced into the background. This is by far the best piece of music on the album, and it makes me wonder what Herod could have achieved here in different circumstances.